Merida is the Practice Manager at Elvin Lawyers. Merida graduated from Swinburne University of Technology with a Master of Commerce (HRM) in 2017. Her background in hospitality management and warm personality give her exceptional client liaising and communication skills. 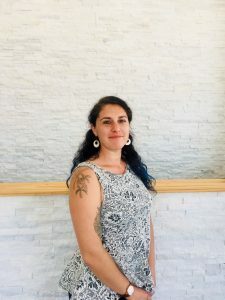 Her interest and passion for community and social consciousness make Merida an excellent support to our clients’ needs, and valuable addition to our team. Merida has been an active member of our community since settling in Melbourne in 2011, from performing volunteer work with social enterprise Scarf Community as a fundraiser, to mentoring young people who face barriers to employment.